One of the brands of the Japanese Nikka whisky Distilling Co. and the name of one of the first whisky distilleries in Japan. Founded in 1934 by Masataka Taketsuru, the 'father' of the Japanese whisky industry, the distillery still works to a large extent in the traditional way Masataka had brought from Scotland. 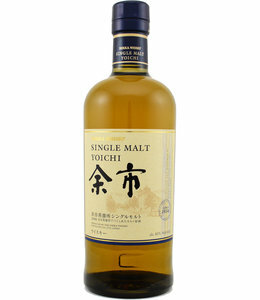 Yoichi produces single malt whisky and has its own cooperage. The Yoichi distillery is owned by Nikka Whisky Distilling Co.Other brands are Miyagikyo, Taketsuru and Nikka.